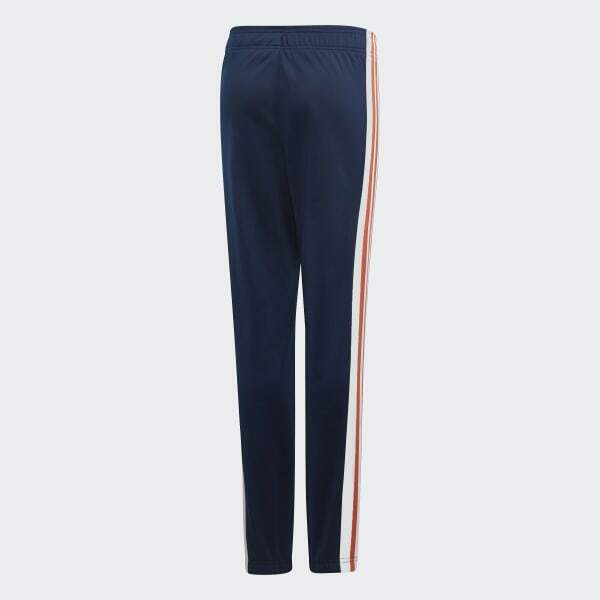 Basketball-inspired pants with two-tone 3-Stripes. Throwback B-ball style inspires these juniors' pants. 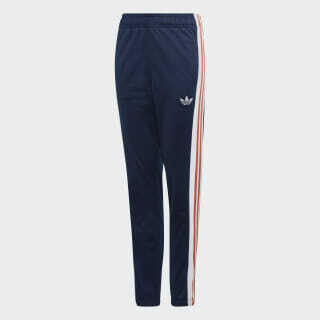 Two-tone 3-Stripes and an embroidered Trefoil give them an authentic look. An all-recycled polyester tricot adds a signature sheen.